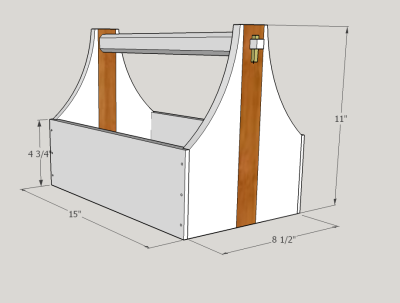 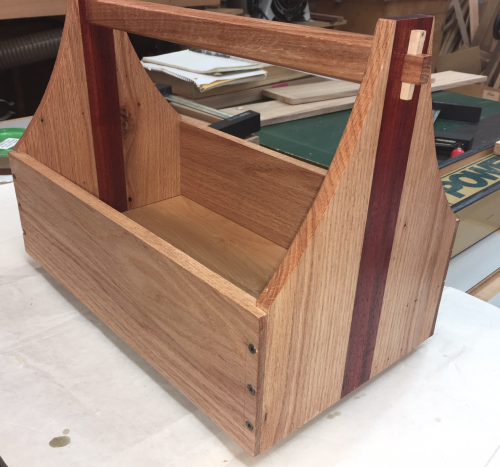 Wanted to make a tote for the shop to hold some lubricants. 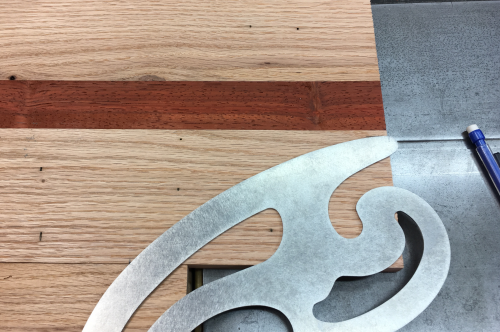 Jointed one surface and edge and then planed opposite surface...at bandsaw, 5/4+ boards were resawn at ~5/8 and then surfaced planed to 1/2 inch. 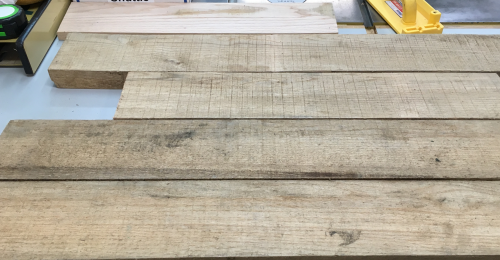 Plenty of 1/2 x ~5 inch stock...one of the reasons I resawed so much stock was to see how this batch of wood reacted...it went plenty wonky...many pieces not usasble...opted to make the sides of the totes 4 3/4...ripped all stock. 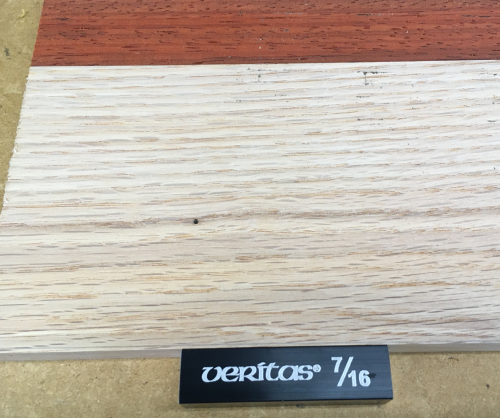 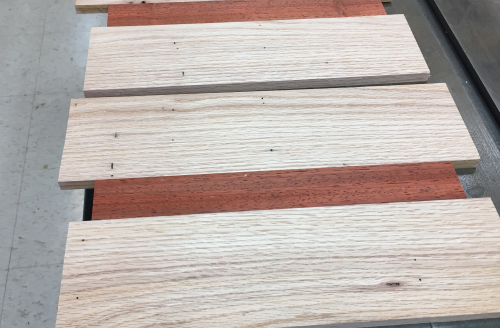 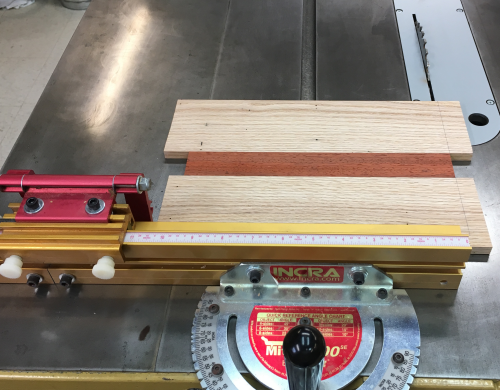 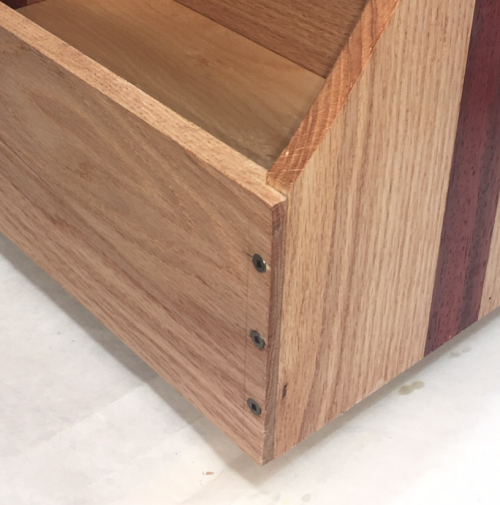 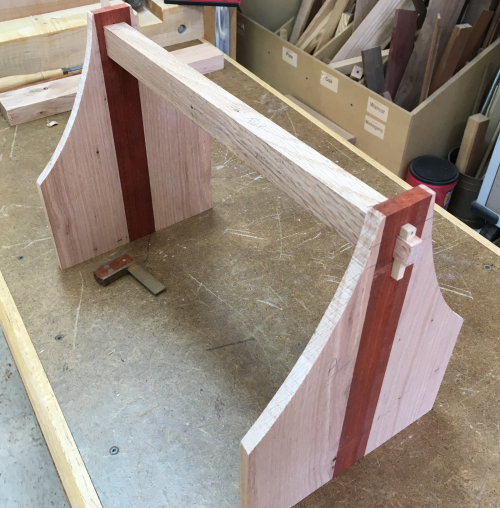 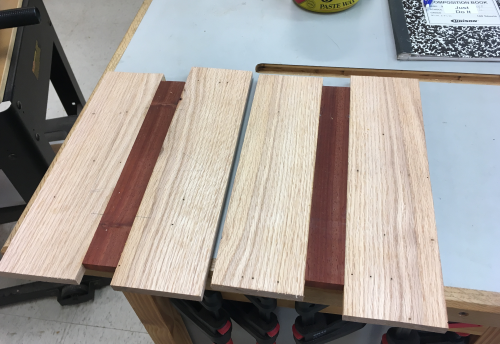 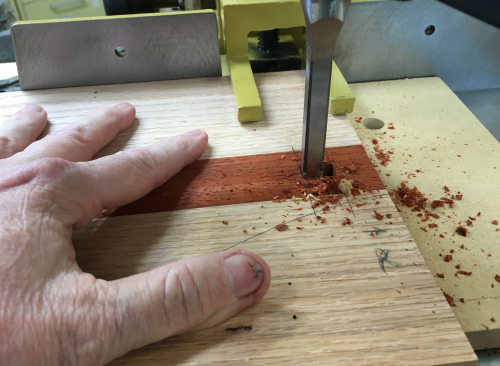 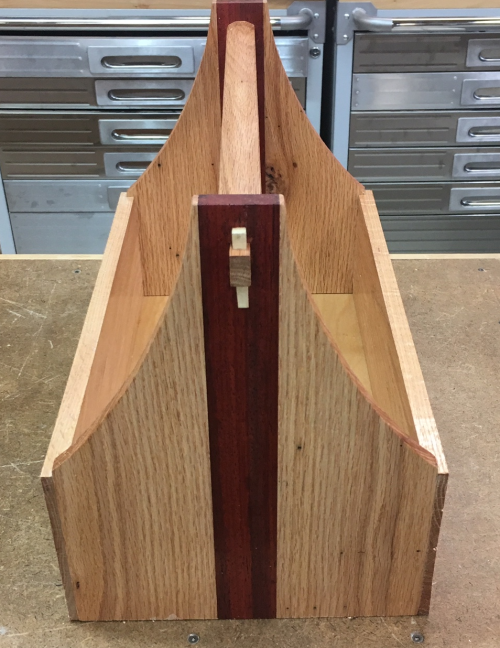 On the ends, I wanted to use a board that had the grain vertical...to get the 8 1/2 inches I would have to glue up a couple of boards...decided to throw in a 1 1/2" wide piece of contrast wood in the middle...had some African padauk cutoffs that were about right. 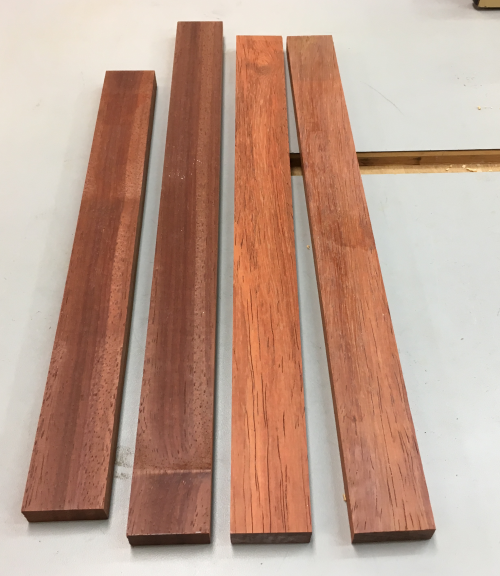 Padauk blanks...fresh milled ones are really orange...I ended up using the two darker blanks...based on both measurements and esthetics. 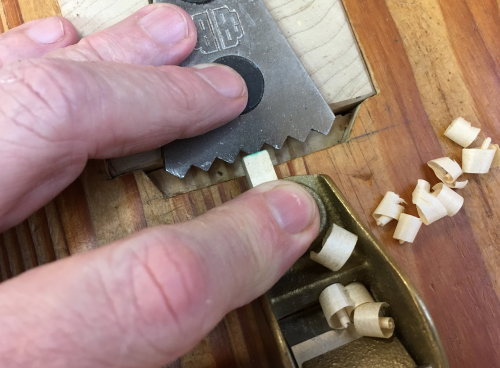 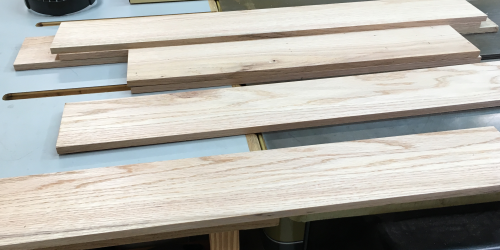 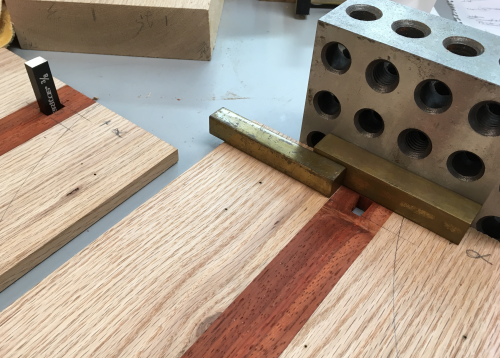 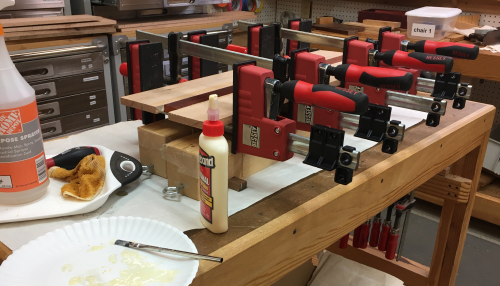 The 1/2 thick boards had a centered Domino mortise put in, (on a middle width setting as shown) for 30mm floating Domino tenons. 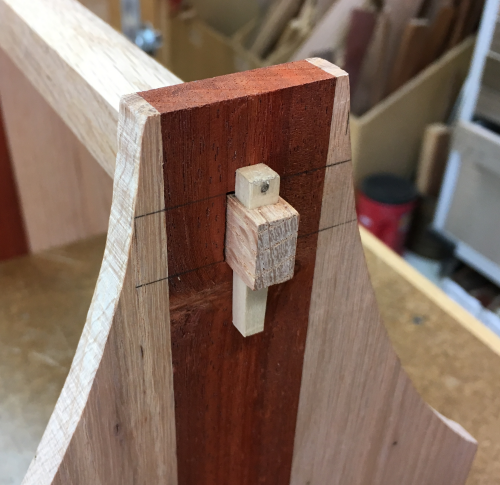 ...mortises = 3/4" off top edge, centered at 3/8" width and 5/8" length. 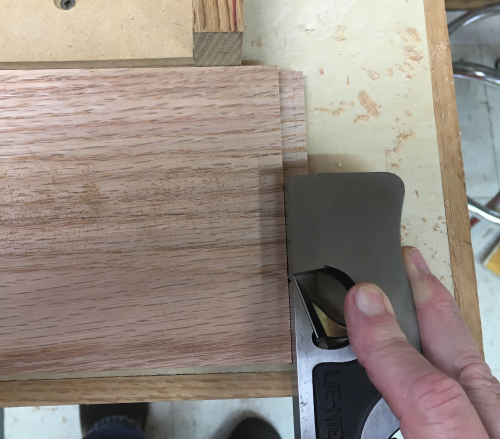 ...hand sanded edges with 220x block. 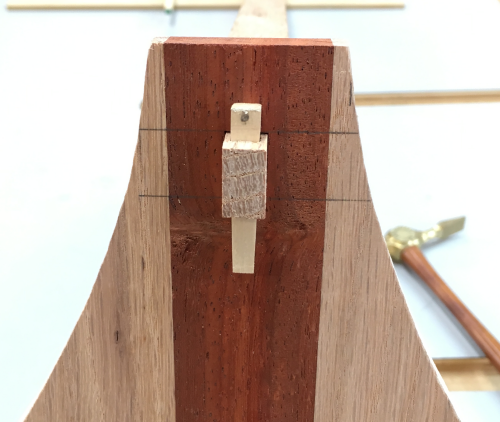 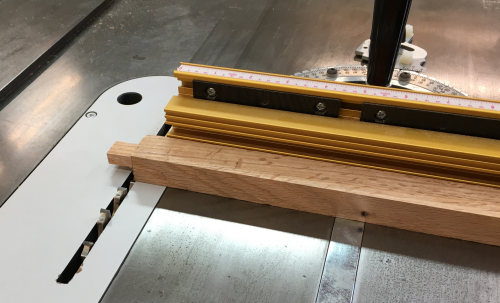 The tenons were cross cut on the P66 with Infinity 1/4 inch blade. 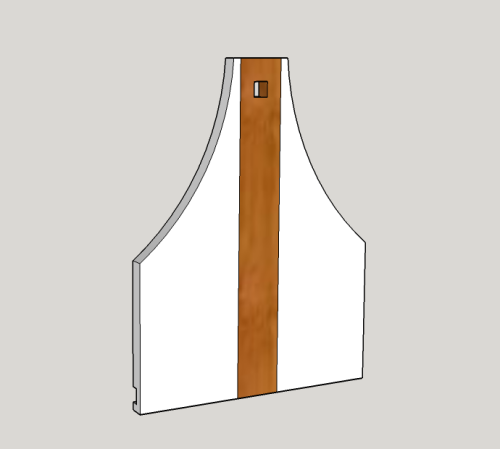 Front view of tusk fit. 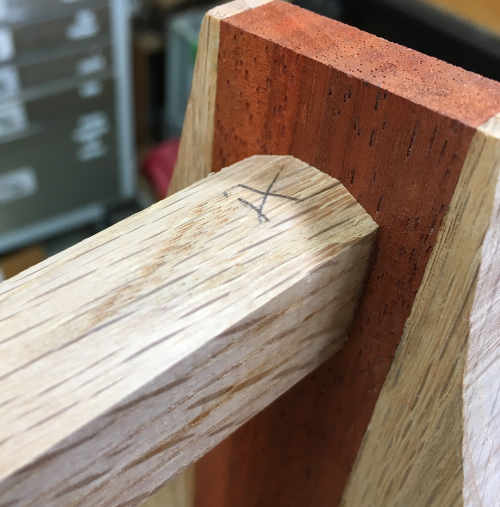 Chamfered bevels on the four edges of the handle...at the router table. 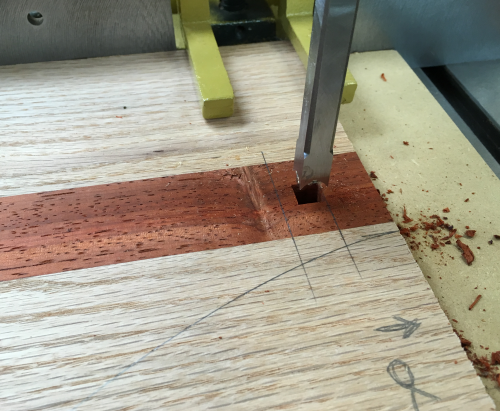 Milling the sides...half laps were rabbeted at the P66 with Infinity 1/4 inch blade. 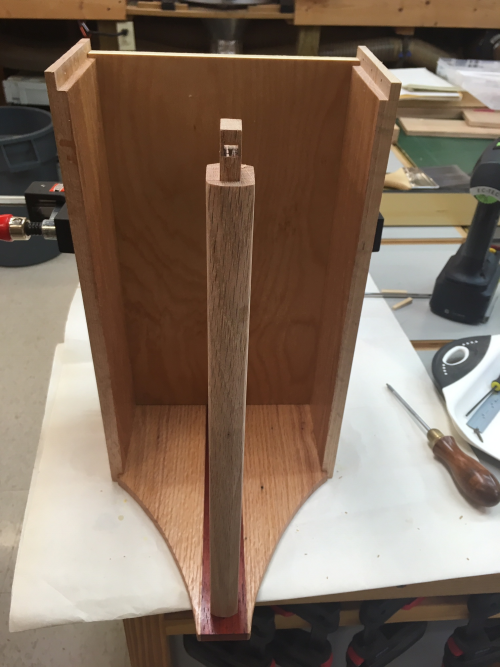 Sides and ends were given a dado to accept the 1/2 inch Baltic Birch bottom. 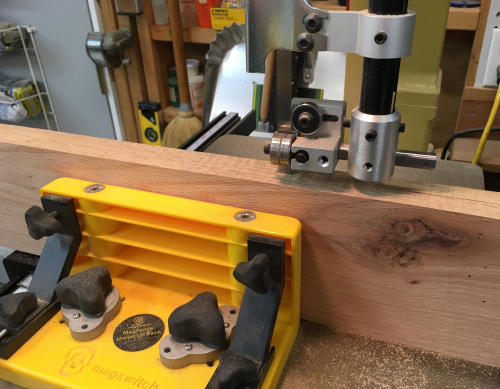 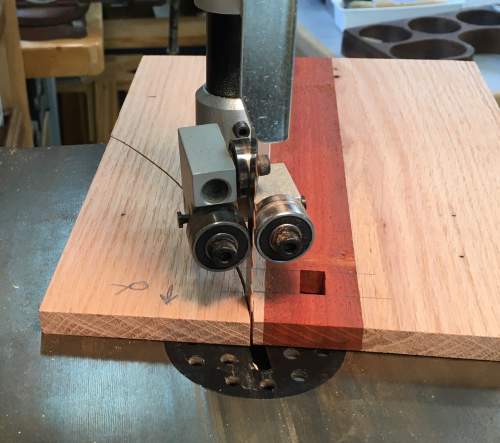 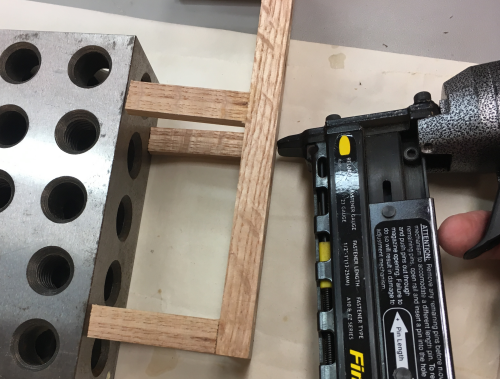 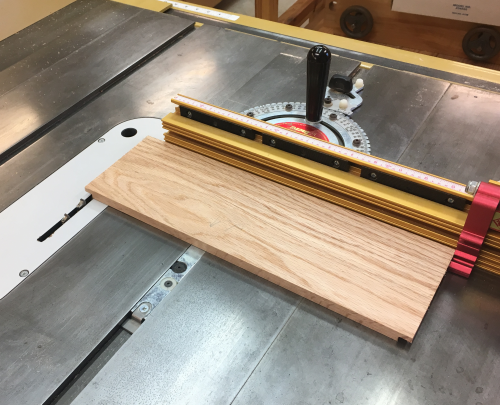 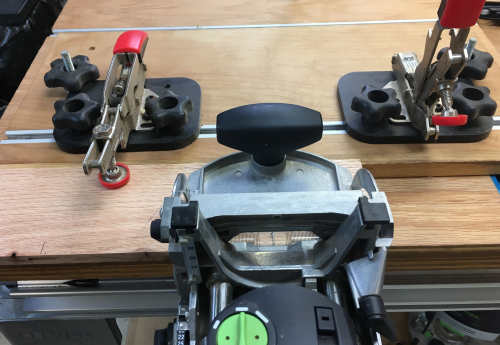 The nominal 1/2" is really undersized and at the router table use a Whiteside 15/32" bit to make a less than 1/4" deep groove, 1/4" off the bottom. 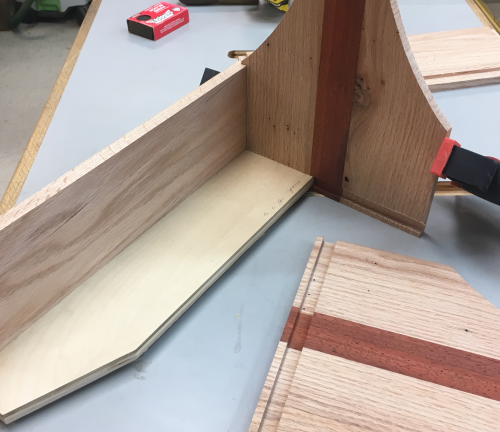 Then slid in the Birch plywood floor and glued the other end. 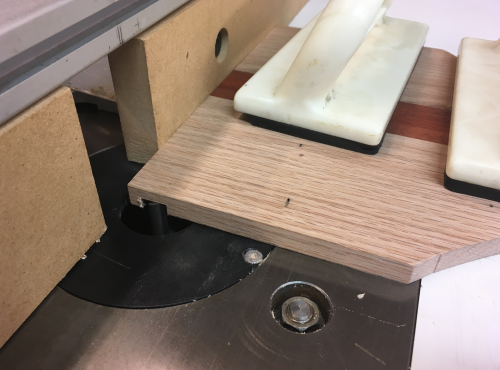 Easy sanded 220x with 150mm Festool. 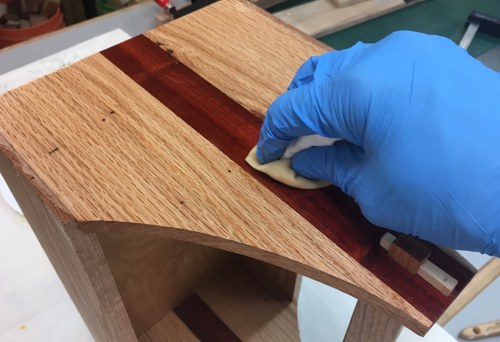 On the interior surfaces, prior to assebmly, I rubbed on two coats of General Arm-R-Seal glossy oil and urethane top coat varnish. 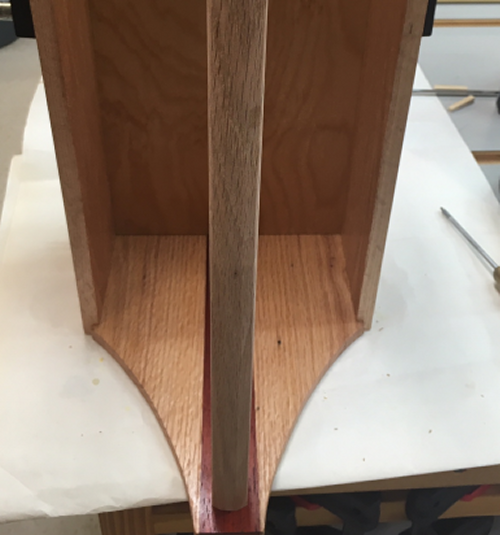 After assembly, I rubbed two coats of varnish onto the exterior surfaces and the handle. 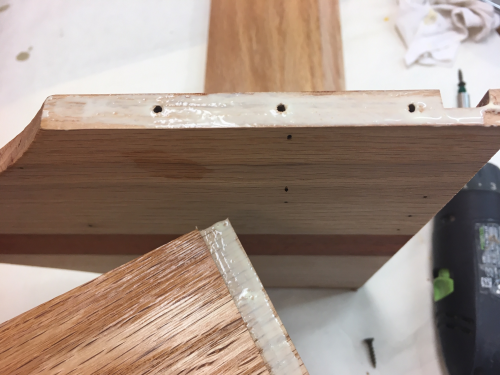 Final look with two coats. 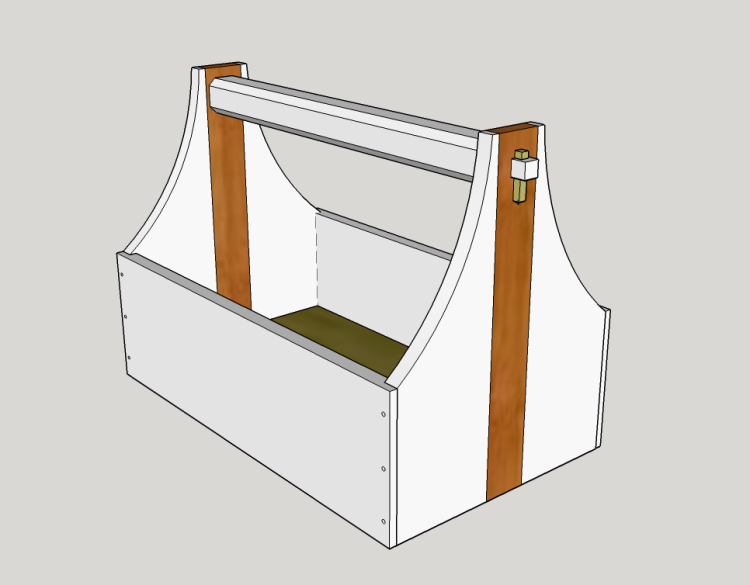 The purpose of this tote is to store lubricants in an easy to move container. 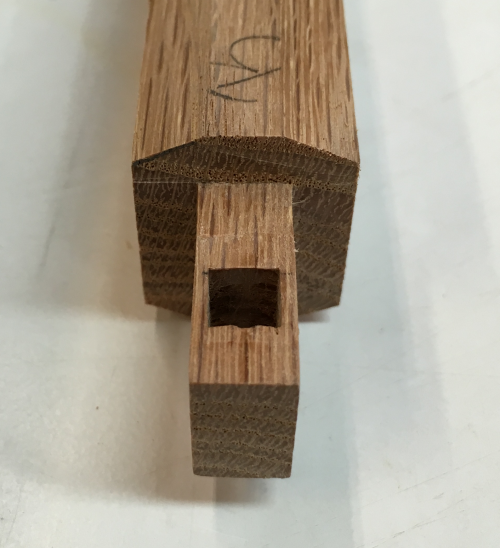 Custom fit an inserts to hold six vials of oil of different viscosities. 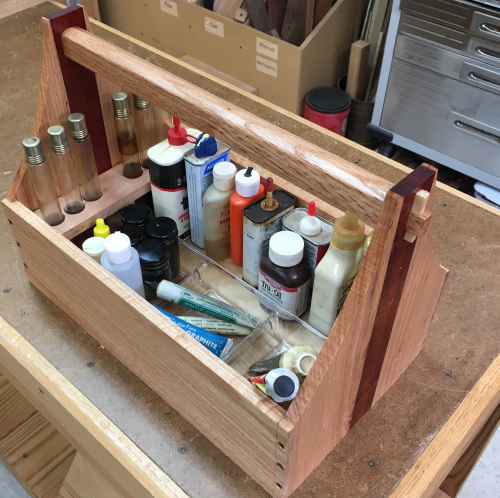 Filled the tote with lubes of varying types. 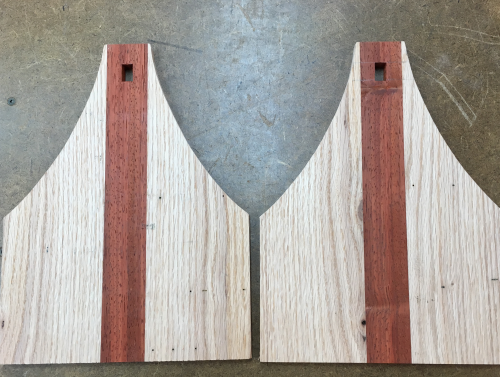 Will use and decide on further inserts.